I have a bust sculpture of Henry Clay perched on my credenza. Clay, the famous Senator from Kentucky, was known as "The Great Compromiser" for his role in brokering, among other national issues of his time, the Compromises of 1820 and 1850. Looking at the sculpture reminds me of what it takes to be a deal maker. Last month, in his first State of the Union address, President Obama declared, "Rather than fight the same tired battles that have dominated Washington for decades, it's time to try something new...Let's try common sense. A novel concept." Indeed. What does it take to make deals these days? In a word - compromise. In two words - common sense. Property owners and managers today are faced with the task of maintaining control over vacancies while keeping the financial health of the property as strong as possible. Without getting into the macroeconomics of the situation, several problems have led to the current "high vacancy" condition. In an ever-decreasing market for their goods or services, businesses have been looking to control their costs. Next to payroll, real estate is often the highest expense. Or perhaps, some of these businesses have simply stopped paying rent, forcing an eviction. Either way, the landlord has seen profit margins shrink, propelling the landlord to salvage its remaining rental income and work out financial arrangements with certain tenants. Not every tenant is entitled to an adjustment. Landlords should not begin slashing prices across the board. Look at a grieving tenant's financial statements, its gross sales over the last three years. Is the current situation a temporary slowdown, or do you believe that the tenant can ever recover? Whatever the case, it is incumbent upon the landlord to make a rational decision based upon common sense, and to compromise. Ok, so what happens once you've been tagged a "compromiser"? Waves of tenants will start knocking at your door begging for rent reductions? Brokers will start believing that they can ask for the outrageous - 6 months free on a three year term, with a full build-out? Fellow landlords will start sending you giant lollipops with the word "sucker" imprinted on them? Don't be swayed. You've maintained the financial security of your property, you're able to continue to provide the required services at the property, you've earned the respect of those on the other side of the negotiation table. So, maybe you're just not making the same numbers as last year or the year before. Real estate is a patient person's game. Those successful in the business don't look at the next quarter, we look towards the next decade, and beyond. There are several key intermediaries in bringing about a transaction - broker, attorney, architect. A well-skilled broker is essential in bringing the landlord and tenant together. A versed attorney knows what is and what isn't important when contemplating lease clauses. A veteran architect can quickly produce various plans in order to facilitate in the visualization of the space. Equally important, is the attitude of the property owner. It does no good if these intermediaries run around chasing their tails, if the owner is being obstinate. Conversely, too often, I've seen an attorney show unnecessary muscle, thinking he's properly servicing his client, only to ruin an otherwise good deal. And nothing irks a seasoned owner more than a broker who is more concerned with the terms of his commission agreement than with the health of the lease transaction. A good landlord will step in and direct his counsel and broker accordingly, reminding them that the end game is to sign a lease. After the smoke has cleared - and the broker, attorney, and architect have been paid - the two remaining players are the landlord and the tenant. This relationship can last for decades. The tenant isn't going to call the broker to complain about a roof leak. And the landlord isn't going to call the attorney to complain about some minor lease clause. In a symbiotic business relationship that has developed as a result of the lease, the landlord and tenant will and must deal with each other. They will and must use common sense in their dealings. They will and must compromise. It's protocol. Not just in these times, but always. 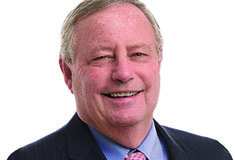 Richard Yaffe, R.A., is vice president - asset management for Triangle Properties, Jericho, N.Y.